One of next year’s Need for Speed games will be helmed by long-time series developer Black Box, EA exec Patrick Söderlund says it can be ‘safely assumed’; after being “on a death march” for a number of years — as CEO John Riccitiello admitted earlier in the year (the studio released 6 Need for Speed games in as many years) — Black Box’s next title can be expected in November 2011, his recent interview with Eurogamer suggests. Their last game, Need for Speed: Undercover, was released in late 2008. What the new game is called is anyone’s guess, but chances are it’ll be one of the 14 EA has shown interest in. Söderlund also revealed that Criterion may return to their bread and butter once this month’s Hot Pursuit (pictured) arrives: Burnout is “not dead for sure,” he says. 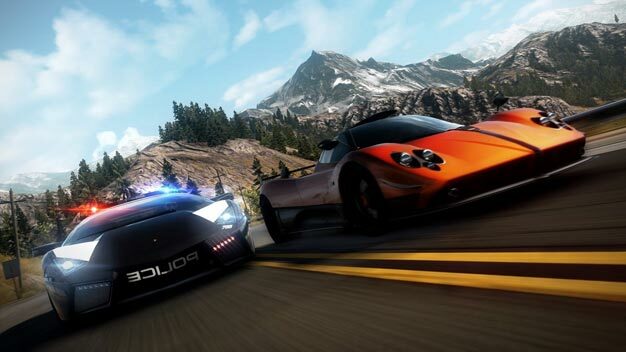 Also expected next year is Need for Speed: Shift 2, the sequel to the series’ sim-focused offshoot.